KFC U.S. has made the strategic decision to move its $230 million-plus media-planning and buying business to its creative agency, Wieden+Kennedy (W+K), combining creative, media, digital, data and analytics under one integrated shop. The re-bundling of disciplines is gaining some traction among marketers who believe it has the potential to improve integrated campaign efforts when different disciplines are housed together -- and, theoretically anyway -- communicating more effectively among each other and with the client. And fewer agencies are also seen by some clients as generally easier to deal with. 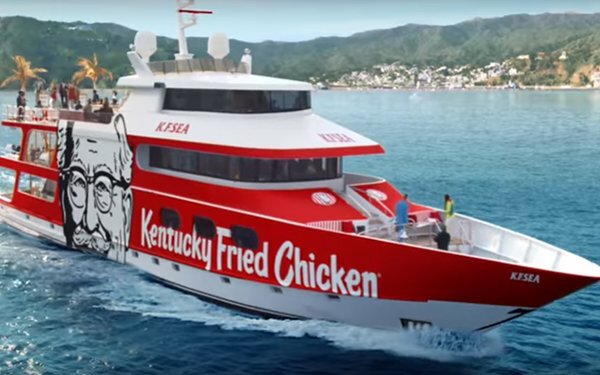 In addition to its current advertising and creative scope of work for KFC U.S., the scope of W+K's new assignment will include media planning and buying across all channels, including digital and social media. KFC declined to specify reasons for this consolidation other than to say the Publicis Groupe-owned network "is a talented agency, and we appreciate their partnership and work on the brand over the past year." Although W+K may be best known for its creative expertise, the independent shop has a long history as a full-service agency, providing both creative and media services to a number of clients. Key W+K media-plus-creative accounts include Old Spice, Nike, TurboTax, and Secret. The agency recently introduced the latest spot that is part of KFC's summer Extra Crispy Colonel campaign that features actor George Hamilton sitting atop an inflatable floatie resembling himself. The ad was used to kick off the social media KFCFloatie.com sweepstakes where people can enter to win one of these limited-edition floaties "in time for the 4th of July." KFC and W+K are also partnering with Snapchat to create a World Lens that brings the Colonel to life in an augmented reality experience that enables users to live the Extra Crispy lifestyle with the help of their smartphone camera. Snapchatters can also enter to win a KFC Colonel floatie directly from the lens starting on Memorial Day, May 28. KFC spent an estimated $234 million on U.S. measured media in both 2017 and 2016, according to Kantar Media.